Langkawi (Malaysia ) – May 23, 2018 (travelindex.com) – Dato’ Haji Azizan Noordin, the CEO of Langkawi Development Authority (LADA) and a key member of Pacific Asia Travel Association (PATA) has just been appointed as the new Vice Chairman of PATA and the Chairman of Government Destination Sub-Committee at the Association’s Annual Summit in Gangneung, Republic of Korea for the period of 2018 – 2019. Prior to his position at LADA to oversee the development of Langkawi as a premiere global tourist destination in line with the island’s status as UNESCO Global Geopark, Dato’ Haji Azizan Noordin was the Deputy Director General for the Malaysia Tourism Promotion Board (Tourism Malaysia) and responsible for the operations of the organisation and the promotional efforts of all 44 Tourism Malaysia offices overseas. 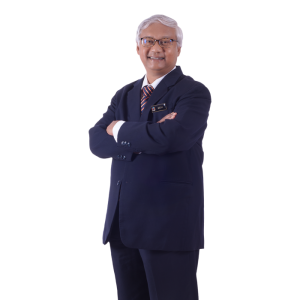 Starting his career in tourism back in 1978, he has since served in various leadership roles including heading the Tourism Malaysia offices in Seoul, Republic of Korea and Jeddah, Saudi Arabia. He is a graduate of the MARA University Institute of Technology in Malaysia and holds two Masters in Business Administration (MBA) from Oxford Learning Centre of Excellence and Institute of Technology in Australia. “I am deeply inspired and humbled by the confidence placed in me by the Committee that led to this assignment. I wish to also extend my respect and appreciation to all the members of PATA for their strong support. I greatly look forward to working with everyone as we steer PATA towards greater success and to boost the Malaysian tourism industry – maintaining its profile as a destination of excellence and a major contributor to the socio-economic development of the nation”, enthused Dato’ Haji Azizan who was also the Chairman of Malaysia PATA Chapter from 2010 to 2016. Dato’ Haji Azizan as the honourable Chairman for the next period (2019 – 2020).